Florida Jumbo mortgages are loans for larger amounts than the traditional conforming loans limits, typically $484,350 in FL. During the housing bubble of the previous decade, jumbo loans became more popular and frequent as prices for even modest houses climbed higher and higher. Typically before then, jumbo loans were reserved for more high-end houses in pricey markets like Miami, West Palm Beach, Naples or Sarasota FL. What are the limits of Florida conforming conventional loans? Fannie Mae and Freddie Mac set conforming loan limits. These limits are the maximum loan amount that either of these two government-sponsored enterprises will buy the loan from a bank, freeing up their capital. When Fannie Mae and Freddie Mac won’t cover the full amount, the loan is considered a jumbo mortgage. As a result, these loans have more risk and slightly higher interest rates. Conforming loan limit vary a little based the on the county in Florida. However, in general the loan limit is $484,350 and $529,000 for a single unit home in “high cost” areas. Jumbo loans refer to the value of the loan in question, not the amount you put down. For example, both a $700,000 house with 5% down and a $2,000,000 house with 10% down require jumbo loans. Who qualifies for a jumbo loan in Sarasota? Since jumbo loans are considered slightly more risky investment to lenders, there are more requirements in order to qualify for a jumbo loan than a conventional one. Debt-to-income: One requirement is a low debt-to-income ratio. A lender wants to ensure that you will be able to comfortably pay the principal on the loan, as well as taxes, interest and insurance each month. A good rule of thumb for a reasonable income to have when applying for a jumbo loan is that your monthly mortgage payment (principal, interest, property taxes and insurance) is below 28% of your pre-tax income, and that your overall debt payments (the mortgage payment as well as student loans, credit card bills and other debt) is below 42% of your income. Excellent credit: A person’s credit score will also be considered. Typically the lowest score a person can have and still be eligible for a jumbo is a 720, which is in the “excellent” range for credit scores, the highest possible score being an 850. Actual credit score required will depend on down payment. Lower down payments of 5% will require the highest scores. 10%, 15% or 20% down payment will permit lower credit scores down to 660 in some cases. Down payment: The final qualifier for a jumbo loan is the down payment. Often, jumbo loans require larger down payments, to mitigate risk. Requirements vary by lender, though. You may be able to get away with only 5% down, especially with good credit score. 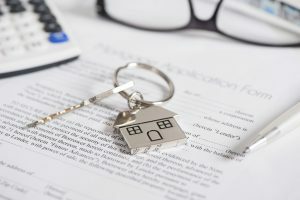 Latest Florida Jumbo mortgage loan-to-value limits and credit standards for 2019.
Who should consider a jumbo loan in Sarasota? Realistically, a borrower isn’t really the one considering a jumbo loan. Since the practice of giving out more and more jumbo loans backfired on lenders when the housing market tanked they are more wary about giving them out and are really the one’s considering if you should have one. The question for you to ask is, “How much home can I afford?” Are you in a financial place where you can pay the down payment (as well as closing costs and other fees) upfront, as well as meet the ongoing monthly payments? Will you live in the house long enough for the hefty down payment to be worthwhile? Since lenders consider jumbo loans to be more “risky” the interest rates are a little higher than standard mortgage rates. Qualifications are much stricter for jumbo loans now, and if the bank even thinks for a second you won’t make timely payments you most likely will be denied. By 2010, 10% of people with a jumbo loan were considered seriously delinquent, at least 60 days late – in their payments mainly due to negative amortization ARM loans. Fortunately, these type of neg amortization loan aren’t available anymore. Florida homebuyers that have questions about Jumbo Loans please call ph: 800-871-2636 or just submit the Request Contact form on this page for assistance. Is this also available in Lee and Collier County? Also what are the loan terms, can I get a ARM or only fix rate? Yes, available to qualified borrowers nationwide. As for terms, all the common fix rate and adjustable rate programs like 3/1, 5/1 7/1, 10/1 ARM are permitted.